Gastric Band Surgery France | Can Being Overweight Lead to Breast Cancer? Can Being Overweight Lead to Breast Cancer? Medical Loans for Weight Loss surgery especially from Ashburn area. The statistics surrounding breast cancer are staggering. One in eight women in the United States will develop invasive breast cancer in her lifetime. More than 315,000 women will receive a new breast cancer diagnosis this year alone. Breast cancer claims the lives of more women in the U.S. than any other cancer, except lung cancer. (Source:breastcancer.org) There are multiple factors that have been linked to an increased risk of breast cancer: gender , age, race, family history, genetic mutations and weight. While we have no control over most of these factors, one thing we can manage or control is our weight, and doing so is essential to preventing life-threatening diseases, such as cancer. It’s important to note that while breast cancer is most common in women, about 2,400 new cases of breast cancer will be diagnosed in men this year. About one in 1,000 men will develop breast cancer in his lifetime. Many research studies have shown a link between a higher BMI (a measure of body fat percentage based on height and weight) and an increase in risk of breast cancer in postmenopausal women. According to the National Cancer Institute, women who are overweight or obese may be as much as 40 percent more likely to develop breast cancer compared with normal weight women. Why are postmenopausal women who are overweight or obese more likely to develop breast cancer? One word: estrogen. Fatty tissue is the largest source of estrogen production for postmenopausal women. Fat contains an enzyme called aromatase that converts hormones called androgens to estrogens. Carrying excess weight means higher estrogen levels, and women with higher estrogen levels are more likely to be diagnosed with breast cancer compared to women with lower estrogen levels. Are you at risk of breast cancer due to obesity? According to the National Institutes of Health, adults with a body mass index (BMI) 30.0 or higher are considered obese. 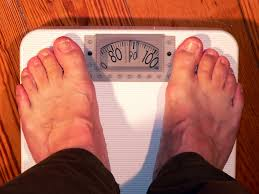 Adults with a BMI between 25.0 and 29.9 are considered overweight. Use this BMI calculator from the National Heart, Lung, and Blood Institute to calculate your BMI. Women who are overweight or obese can reduce their risk of breast cancer by losing weight. Research from the Nurses’ Health Study found that women who lost weight and kept it off for at least four years after menopause were 40 percent less likely to develop breast cancer. Weight loss surgery has been proven an effective tool at helping women lose weight and reduce their cancer risk. Women who have undergone bariatric surgery may be 83 percent less likely to develop cancer. A reduced risk of cancer after weight loss surgery is due not only to a reduction in fatty tissue, but to changes in body chemistry that promote disease prevention and symptom control. If you are overweight or obese, contact us today to learn how weight loss surgery can help improve your health and reduce your risk of cancer. One of the most experienced weight loss surgeons in the country along with a full staff of surgeons, nurses and other experienced clinicians, help patients reverse obesity with LAP-BAND, Gastric Bypass, Sleeve Gastrectomy, Gastric Balloon and Revisions.